A stunning new poster for The Hobbit: The Desolation of Smaug has landed online thanks to Poster Revolution. 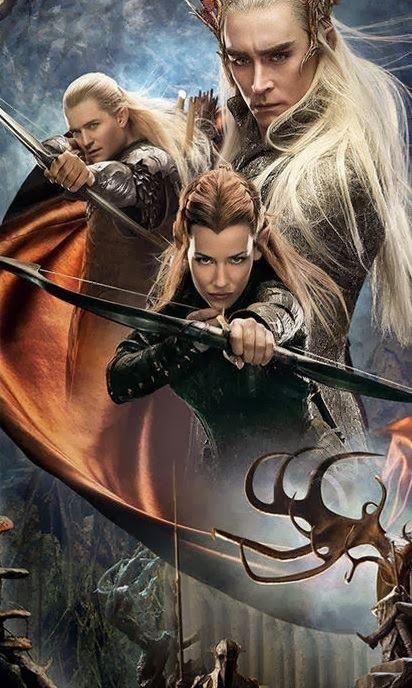 The poster in question feature the main Elves of Mirkwood, namely Tauriel, Legolas and Elven King Thranduil. 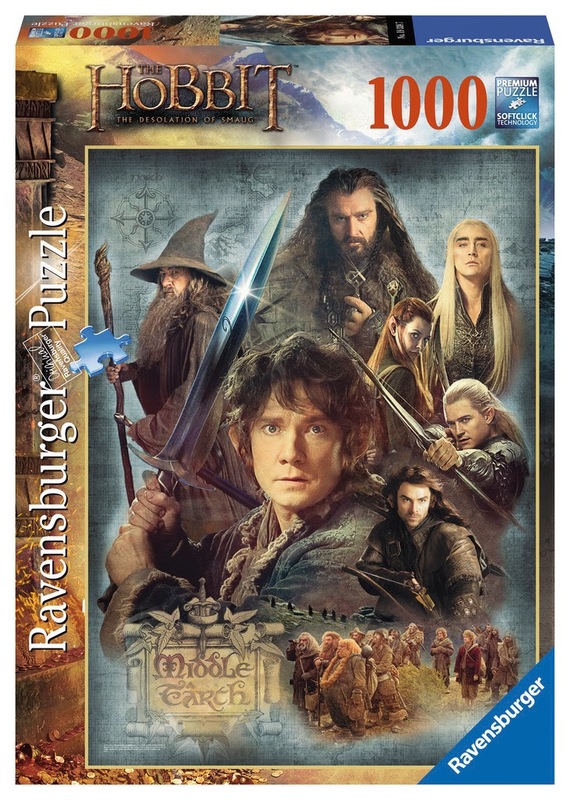 Same imagery is also available as a puzzle merchandize at Ravensburger. In fact, there are more than two items from the batch that we may yet to see as actual posters. All these make me feel it's early Christmas celebration for yours truly and the rest of the fandom. 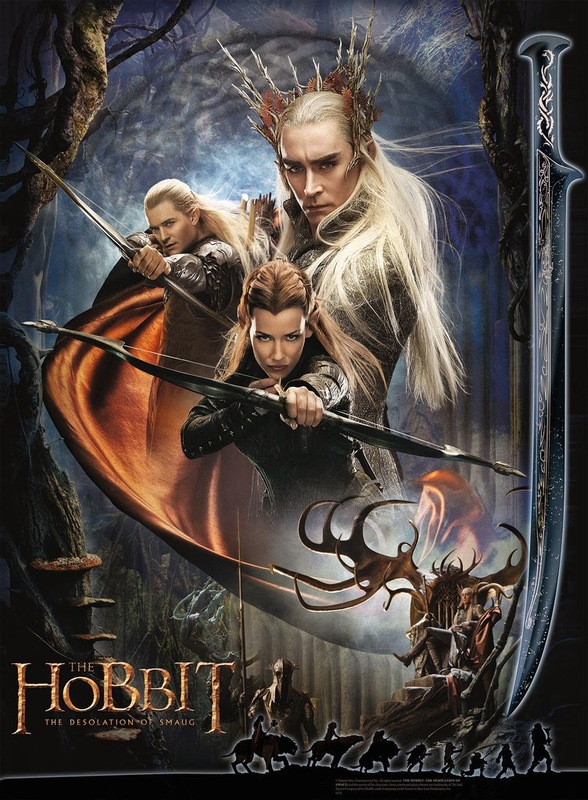 Check out these new movie posters or puzzle merchandizes of The Hobbit: The Desolation of Smaug. If you are interested, the poster is actually for sale and can be purchased online over Poster Revolution. 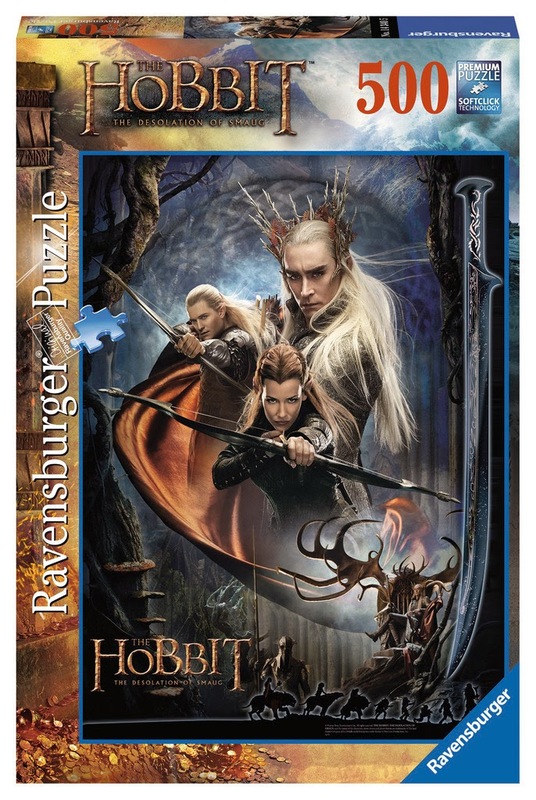 Furthermore, here are two puzzles, featuring similar imagery and are also available at Ravensburger along with other The Hobbit merchandizes. Here is the clean version of it, which very much looks like the one from Poster Revolution. Here is another featuring the band of dwarves, the Mirkwood Elves, Gandalf, and of course Bilbo. And in case you wanted some more spoilers, Warner Bros. has released the official and lengthy full synopsis of The Hobbit: The Desolation of Smaug. The Hobbit: The Desolation of Smaug will fly into cinemas on November 13, 2013.